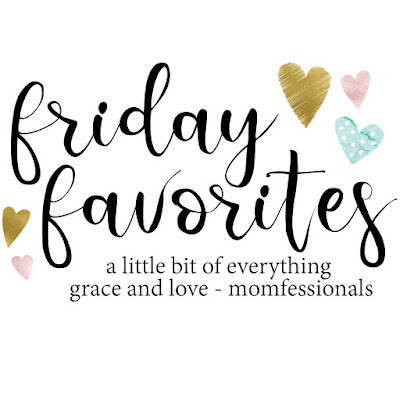 The Mrs. Fisher: Friday Favorites - Loft Sale! Friday Favorites - Loft Sale! Oh y'all. It has been a WEEK. I am so happy it's Friday! And let's start off with some fun news - the winner of the Bellamy Clutch! Congrats! Look for an email from me to claim your prize! 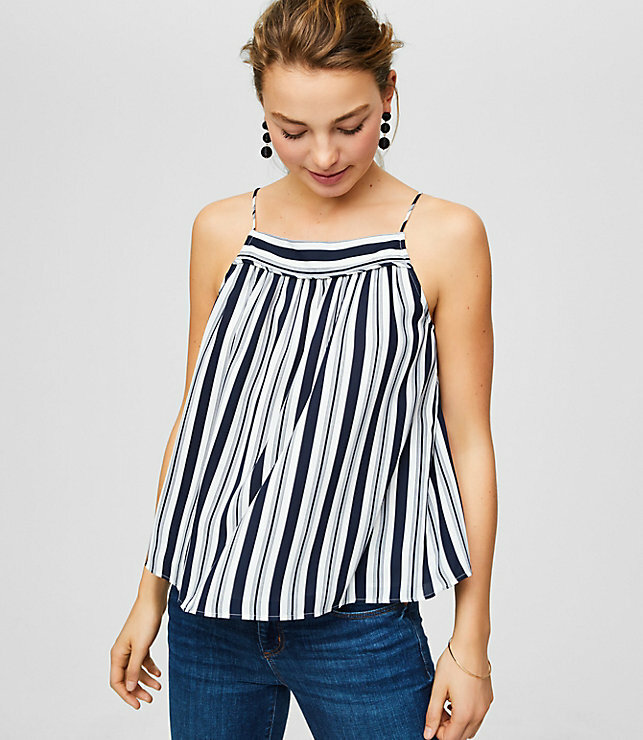 I love a pretty cami top. 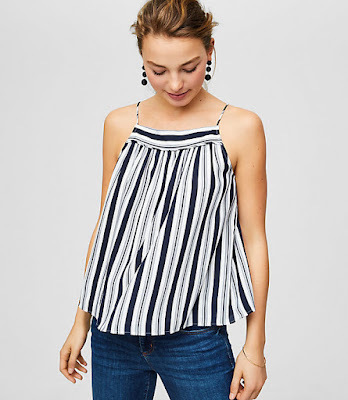 This one would look great with jeans and fun jewelry for date night. Throw a leather jacket or a cardigan over it for chilly nights and you are ready to go! 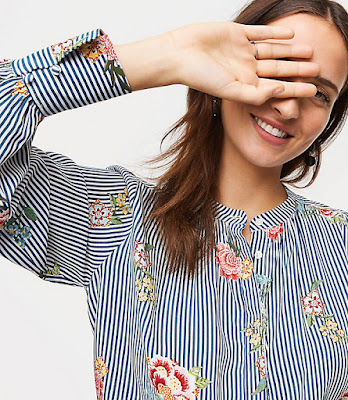 This is not the kind of top I usually gravitate toward, but there is something about the floral and the stripes that I am loving. How pretty is this dress? I love the floral pattern on the navy background. 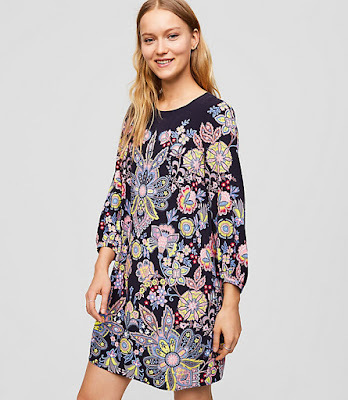 This might be cute for Easter, right? I LOVE a pair of button fly jeans. I currently have a pair, but I am really digging the darker wash on these. And you know, just give me ALL the yellow things. 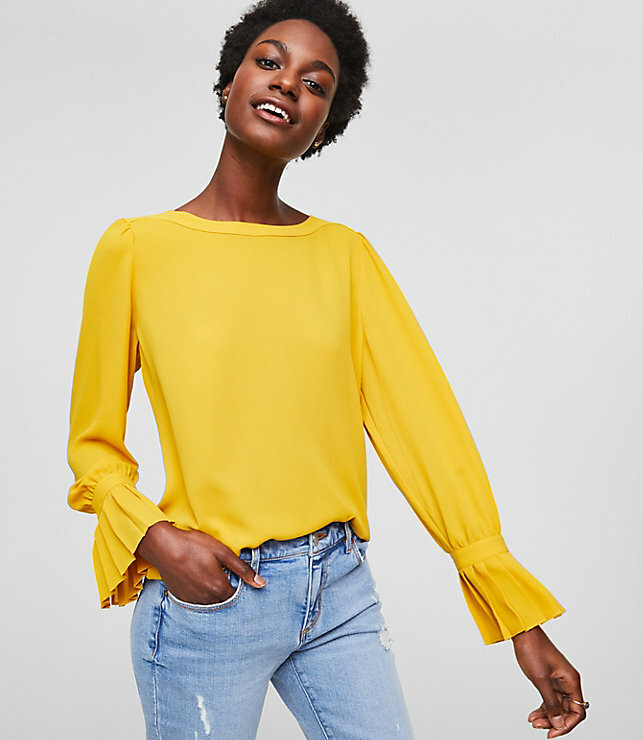 What I love about this top in particular is the sleeve detail at the cuff. 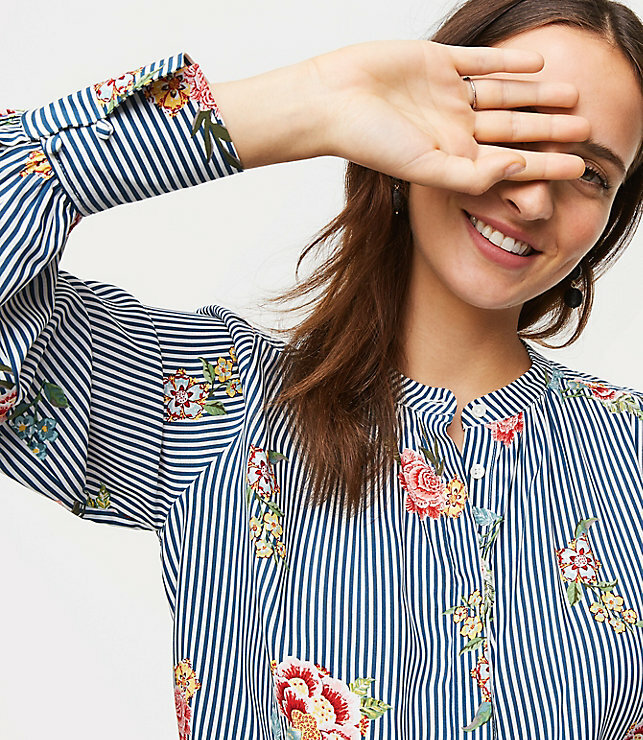 That pleat detail is perfection. Y'all. That bow detail in the back! 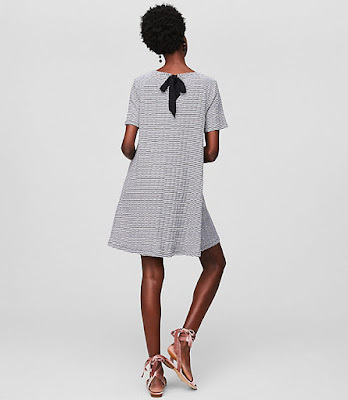 How darling is this dress? Shop all the new arrivals. There's also an ADDITIONAL 40% off sale items! I love shopping at Loft. The clothes are so flattering. They always make me look 10 pounds thinner than I really am!